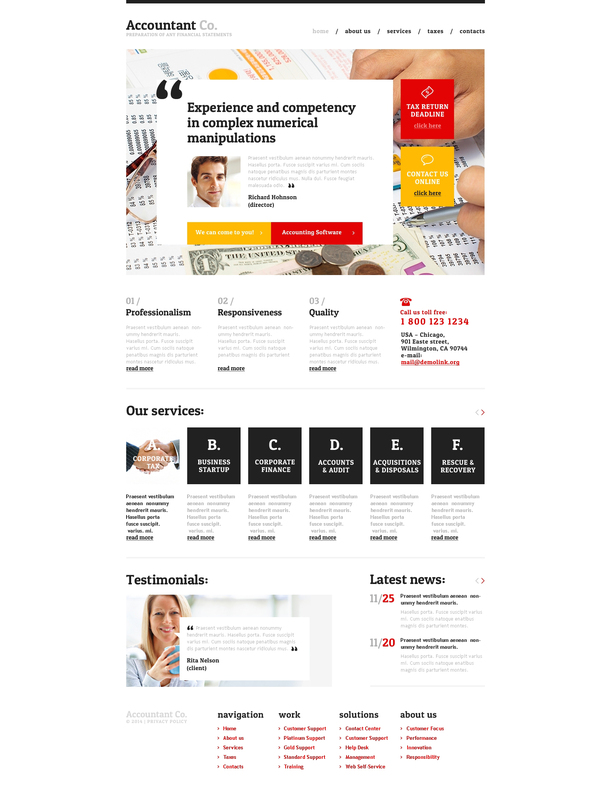 This bookkeeper website template will be a perfect alternative for creating a reliable site. This website design is an ideal option for establishing a accounting firm or accountant web resource. The layout is spacious enough to display the firm background, its essential advantages, as well as spotlight some specific products and services. If you have any questions regarding theme usage you can take a look at rich documentation, also you get 24/7 priority support aiding to settle any trouble. Purchase this SEO-optimized theme to establish a serious online reputation and draw in more people.